‘Tis that time of the year when the Yuletide brings good tidings for the year to come. Here are technology predictions and industry forecasts from eG Innovations that will help you, IT practitioners and decision makers, understand critical directions and trends in the end-user computing (EUC) space, so you can take plan accordingly and take advantage of what's to come in 2019. Read on to find out about the three critical focus areas that you must look out for and be prepared to encounter sooner or later in 2019. VDI deployments are on the rise. 2018 was a testament to this. EUC technology providers, such as Citrix and VMware, are expanding the capabilities of their products to enable application and desktop virtualization to be delivered faster, better and more reliably. With the increased adoption comes increased expectations. 2019 will see a greater emphasis on digital experience for digital workspaces. In the past two years, Citrix has focused extensively to improve digital user experience for their customers. With Workspace Environment Manager enhancing logon experience, HDX adaptive display enriching on-screen rendering of video and 3-D graphics, and adaptive transport (EDT) improving reliability of sessions over long-haul connections, there is already significant headway being made to make virtual apps and desktop sessions faster and more seamless for the end-users. Likewise, in VMware Horizon stack, Adaptive Transport and Network Intelligence with QoS support was included to improve connection stability during lossy WAN connections. In 2019, there will be an even greater demand from customers to have more lucid and seamless user experience, and EUC technology providers will continue to innovate and focus their product development efforts on improving digital experience. Monitoring tool vendors will also look at providing more digital experience focused metrics and analytics to help organizations measure and manage their EUC environments. As organizations collect more metrics about their virtual apps, desktops and supporting infrastructures, IT teams need to cut through the noise and get to actionable insight that matters. Artificial Intelligence for IT Operations (AIOps) and machine learning are avant-garde technologies sought by IT pros to simplify and automate data analytics. AIOps is typically used to aggregate, normalize and correlate all the metrics obtained from various sources and use built-in intelligence to continuously learn the behavior and patterns of all the variables in the IT environment - performance deviations, workload changes, configuration discrepancies, resource usage trends over time - and present outcome-driven insight to identify anomalies, reduce false alerts, increase accuracy of root cause diagnosis, forecast capacity depletion, and so on. A recent OpsRamp survey indicates that 68% of IT decision-makers at companies with 500 or more employees have experimented with AIOps tools and this trend will continue to increase. An industry report by Markets & Markets states that the AIOps platform market size is expected to grow to USD 11.02 billion by 2023. With cloud adoption significantly increasing in enterprises, EUC vendors and service providers are expanding their services to the cloud. New VDI technology offerings such as Citrix Cloud, VMware Horizon Cloud and Windows Virtual Desktop on Microsoft Azure have come out in 2018 and these EUC technology providers are trying to capitalize on the cloud migration trend and build on their subscription revenue stream. Another growing trend enabling cloud adoption by organizations is the availability of Desktop-as-a-Service (DaaS) offerings from VDI service providers. By providing cloud-hosted desktops to their customers, MSPs are allowing organizations to get quick and easy access to virtual desktops, which is flexible to scale on-demand and occupies lesser infrastructure footprint. With so many cloud-based EUC deployment options available, 2019 will see increased implementation of virtual apps and desktops in the cloud. There will definitely be glitches along the way in terms of operational, management, performance and security challenges, but the road to cloud - especially for EUC technologies - is definitely going get busier. With all these technology advancements and adoption trends, 2019 is certainly going to be an exciting year-one that will open the horizon for more ways to embrace digital transformation and fashion the future of end-user computing. Vinod Mohan is a Senior Product Marketing Manager for eG Innovations, an industry leader and provider of end-to-end IT performance monitoring and digital intelligence solutions. 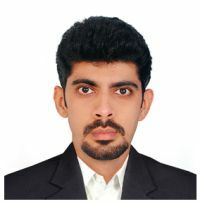 Vinod has over 11 years of experience in product, technology and solution marketing of IT software and services spanning application performance management (APM), network, systems, virtualization, storage, IT security and IT service management (ITSM). Previously, he was a Senior Product Marketing Manager at SolarWinds for server and application monitoring software. Now a key team member for eG Innovations, he is a contributing author for the eG Innovations blog, "IT Performance Monitoring Insights", along with other trade publications including APMdigest, DABCC, Cyber Defense Magazine, VMBlog, IT Briefcase, Insfosec Island, The Hacker News, IT Pro Portal, and SolarWinds' THWACK community.